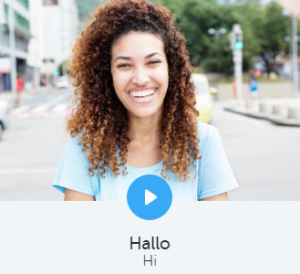 You can learn German and any other foreign language on your phone or tablet with these applications. They are suitable for both Android and iOS. Learning this way is fun, comfortable and practical (you can start the apps while waiting in the line, in the traffic jam etc.). And what is most important it’s completely free. Of course, if you wish you may install them on your desktop. Try out each of them and see which you like most. Enjoy! Deutschtrainer A1 (by Goethe Institut) – in 10 sections (one section for each topic) you can learn everyday German at the A1 level. 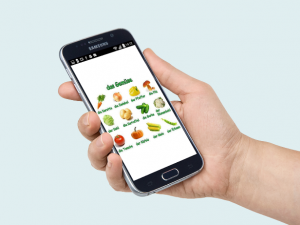 The app is based on dialogues and learning words and structures. It’s inspired by text books and Goethe Institut exams at the A1 level. WordPic – provides the most important German vocabulary words with pictures. It is suited for beginners and intermediate learners. 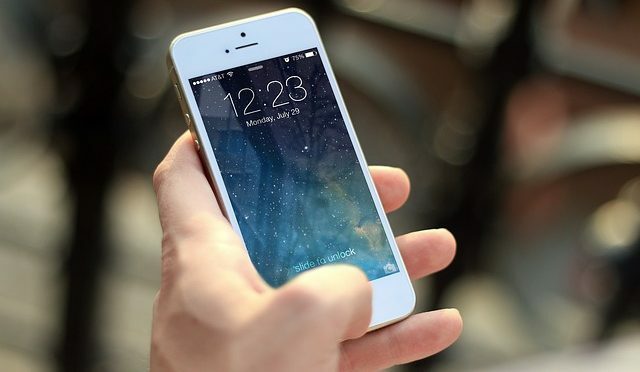 The app works offline, no Internet connection is required (except for the word pronunciation). It contains repetition algorithm which adapts to your language learning speed. Memrise – the creators of this app are obsessed with using brain science to help us learn faster. This app embodies the very best knowledge about how the brain works, and can help people learn as quickly and effortlessly as possible. There are mems in this app to help you form vivid, sensory memories. You will be tested continuously and reminded of what you’ve learned at scientifically optimized times. This application seems to be the best according to opinion of many students who have tested various free applications. It’s advantage is also that it has a very large community. Anybody can create their own course and take part in other people’s courses! Find out more about Memrise here. DeutschAkademie – enables you to practice German according to your Level (A1, A2, B1, B2 or C1), practice some German grammar topics or just repeat some exercises from your German grammar book. 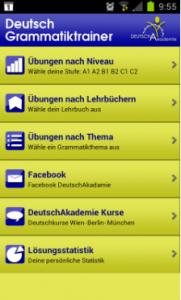 This app contains 20,000 German grammar exercises. Busuu – offers a free and a premium version. You can choose your level. The free version includes flashcards, writing exercises and corrections from native speakers. The premium version includes an extra travel course, mobile apps with offline mode, quizzes and official certificates, grammar exercises, vocabulary trainer and full access to 12 different language courses. Duolingo – is also a very popular app. maybe the most popular of them all. You should try it out and decide whether you will continue using it or not. 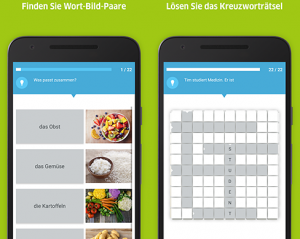 Phase6hallo – this app provides learning German for adults. It contains a basic vocabulary – ca. 800 words which are being presented with audio-visual exercises. It is suitable even for people (refugees) who don’t know the Latin alphabet yet. The learning process is based on regular repeating. 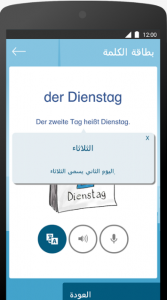 Deutsch Lernen – is another app which uses the power of pictures. It enables you to learn German quickly and easily! You can play it even offline. Verstehen Sie Deutsch? – there is a version app for iPhone and Android. It’s basically a quiz. 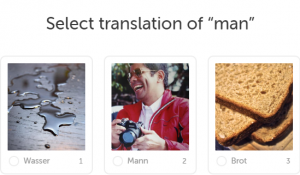 You’ll find questions on more than 1000 different German expressions and particularly beautiful or odd words in this fun quiz. Do you know the correct answer?